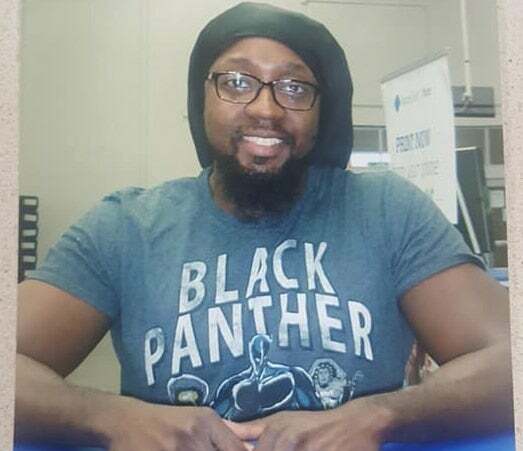 A Virginia man was asked to change his Black Panther t-shirt after he was photographed in it for his Employee Of The Month picture at Sam’s Club. According to T.C. Daniels, the man involved, a customer kept calling to complain about the shirt. And now Sam’s Club is asking him to retake the photo in a different shirt. “[My manager] said [the customer] said my shirt is offensive, and if someone was in a KKK shirt, they wouldn’t be allowed to wear that, so why are we allowing that,” Daniels wrote in a Facebook post with a photo of himself in the t-shirt. Daniels says he refused to retake the pic, and would only do it “with the entire shirt showing,” he wrote. Daniels has been an employee at Sam’s Club for a decade. “If I was violating dress code in a way I understand completely. But I feel like for me to take this down and retake it, I’m letting this man win and that sends the wrong kind of message,” he said. After his post, Sam’s Club’s issued a statement in support of Daniels, WJLA reports.